Here at The Healthy Woman in Snellville, Georgia, we want to give you the pampering you deserve! Experience a customized facial specific to your concerns. We use medical grade botanical products to give you a powerful yet soothing treatment. Our esthetician will go over your specific concerns and goals to choose the correct facial for your needs. Everyone! Whether your skin is dry, oily, sensitive or combination, you can benefit greatly from a facial. You will receive expert analysis of your skin and problem solve for any conditions you are experiencing. The products are professional strength meaning you will get a deeper exfoliation and hydration than what you can achieve at home. After a cleansing of the face, neck and decollete with steam and warm towels, your esthetician will analyze your skin under a magnifying light to ensure the correct treatment and products. Then she begins the exfoliation process to remove surface dead skin cells and to encourage cellular turnover. After the skin has been softened and exfoliated, she will perform extractions to remove anything clogging the pores. She massages the skin to increase circulation and applies a treatment mask. While the mask is on the skin, she performs a hand and arm massage. Removes the mask and finishes with a moisturizer and SPF to protect the skin. You leave feeling wonderful and refreshed with a beautiful glow. What are the benefits of a cleansing facial? Are all cleansing facials the same? 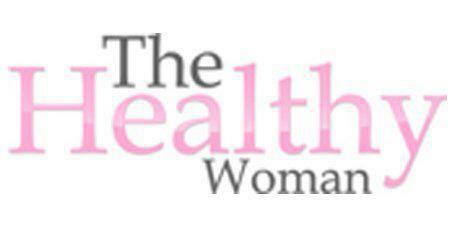 Since everyone has different needs, we at The Healthy Woman strive to give everyone an individualized experience. We have facials that specifically target acne and congestion, repairing lines and uneven skin tone, soothing hydration and calming sensitive skin. Cooling products-there is no cucumber or menthol in our rejuvenating mask. There is Hyaluronic acid to hydrate, aloe to heal and peppermint to cool the skin. At The Healthy Woman, the expert team understands that every patient has a unique skin type that deserves an individualized deep cleansing facial solution. Your aesthetician analyzes your skin condition during your complimentary consultation to create a custom cleansing facial that works best for your needs. What is your most popular cleansing facial? The expert aesthetic staff at The Healthy Woman offers the innovative Fire and Ice Facial, an intensive beauty treatment often used by A-list Hollywood stars for their red carpet parties. The Fire and Ice Facial smooths, softens and rejuvenates your skin while utilizing elements of heat and cold to fight against signs of aging like wrinkles and fine lines. The warming sensation, usually a blend of spicy ingredients, is used to increase blood flow and circulation, while cooling products, such as peppermint, menthol, and cucumber, are applied to reduce inflammation. To experience the skin-renewing benefits of a cleansing facial, call or click to book your consultation today.